"What Did You Do Today?" Campaign is a Hit! 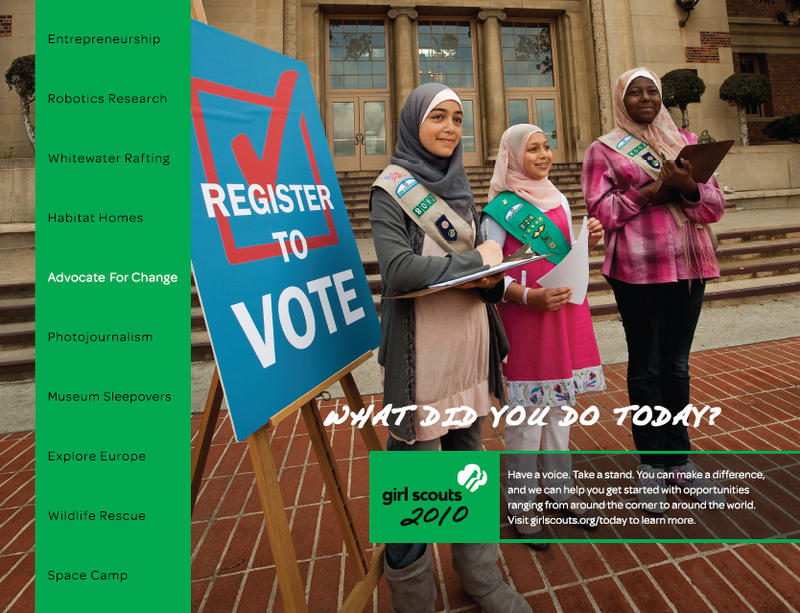 The two Girl Scout brand campaigns have surpassed estimated media donations in Public Service Announcement placements to date. The “What Did You Do Today?” multicultural campaign has achieved $26 million and 1.2 billion impressions in donated placements, while the “Real World Experiences” Hispanic campaign has achieved $3.1 million and 328 million in donated placements. 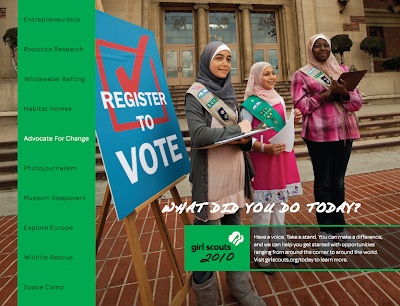 Girl Scouts of the USA will continue to engage external audiences through various media channels with our PSAs and campaign ads across the country, leading up to the 100th anniversary.